By combining colorful varieties of organic, chemical-free vegetables for your soup, you can be sure you are feeding your family super foods filled with antioxidants. Delicious and hearty, it doesn't get much better than this. If the kids are picky about certain veggies just dice them up into smaller pieces and sprinkle some shredded melted cheese over a small serving. 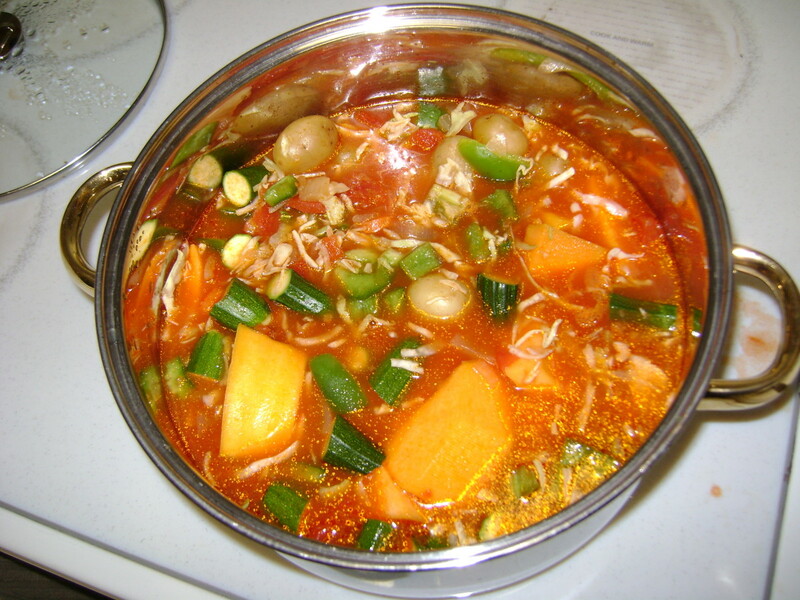 If you like, the soup can be poured over rice or noodles. 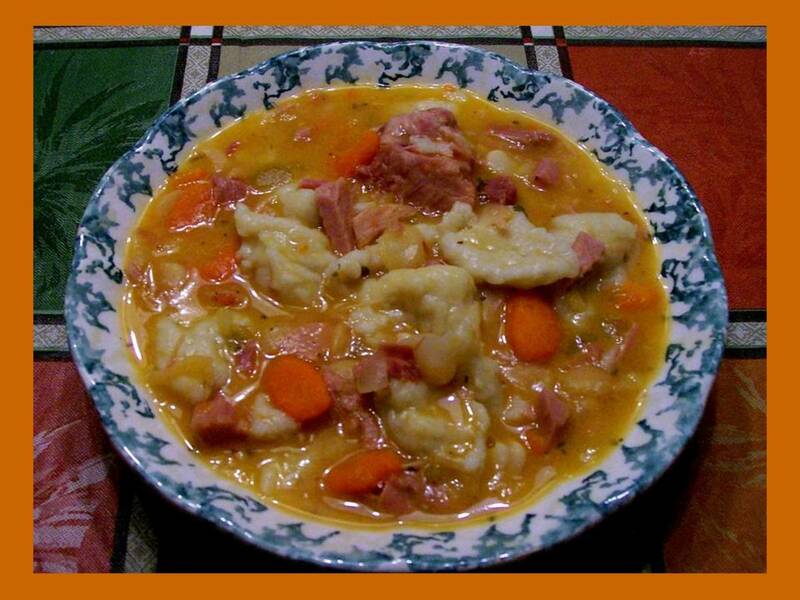 A complete mouth-watering meal, this soup can be made in a crock pot or using the stove. Add a basket of warm dinner rolls, San Francisco sourdough bread or a basket of crackers and you're good to go. Antioxidants help protect healthy cells from damage caused by free radicals. Free radicals are one of the by-products of oxygen use by every cell in our body. These substances damage the body's cells through oxidation, the same process that rusts metal and turns butter rancid. Onions ~ selenium, chromium, vitamin C and contain flavonoids. Potatoes ~ vitamin C and full of minerals like Iron, manganese, magnesium, phosphorus, copper and potassium. 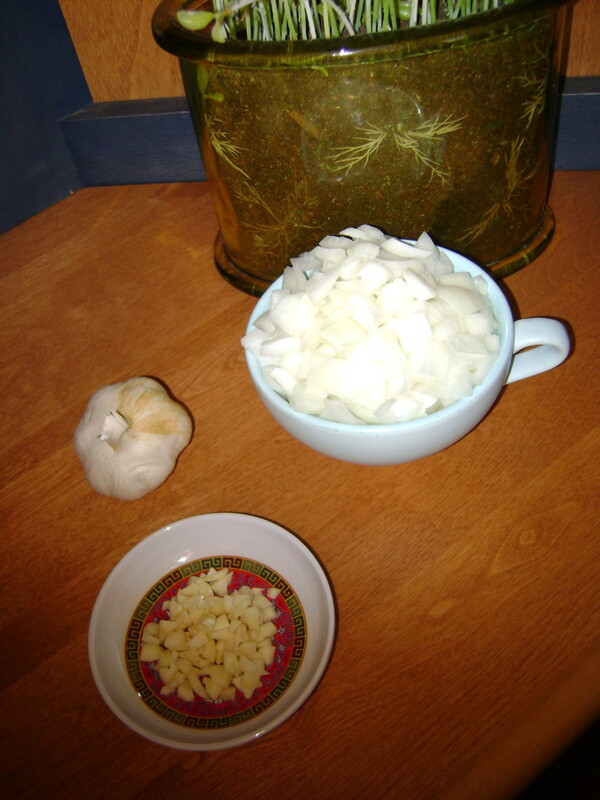 Garlic ~ Vitamin C, sulpher compounds. Celery ~ Vitamin C, calcium, magnesium, and potassium. 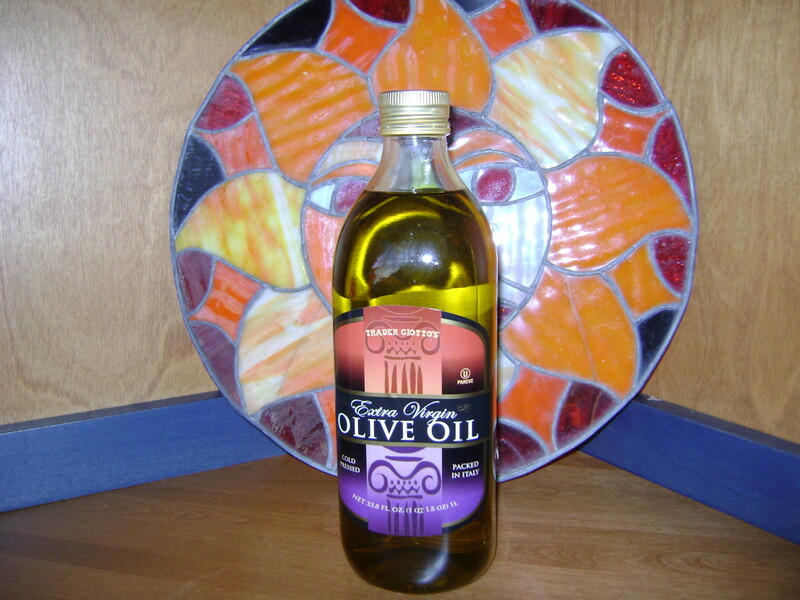 Olive Oil ~ monounsaturated fats, polyphenols and phytosterols. Saute chopped onions and chopped cloves in olive oil, stirring constantly until lightly browned. Pour tomatoes ( entire can ) into the mixture and stir. Add tomato or vegetable juice. Add carrots, potatoes, cabbage and squash. Sprinkle in chopped celery. Bring to a boil stirring often. Reduce heat to low and cook for 2 1/2 hours. The longer you let the soup simmer, the more flavor is released. One reason I love this recipe so much is because it lends itself to most any vegetable. Also, substitutes work well. Rice or noodles can replace potatoes and chicken, pork or beef can be added for meat lovers. As shown in my photos above, I prefer large chunks of vegetables in place of dicing into smaller bites. I also haven't mentioned salt. Here's the reason why. Too much salt in the diet disturbs electrolytes which can cause neurological problems. We need a certain amount of salt but at the same time we must be aware of over-salting our food. By adding your favorite spices such as oregano, basil, chili pepper or turmeric you won't miss the salt. I add 1 cup of traditional salsa to my soup which already contains some salt. I like to freeze enough soup for those extra busy days when I don't feel like cooking. And when friends are feeling under the weather this healthy vegetable soup is conveniently stored in the freezer. Thank you for being here and please take a second to rate this recipe. 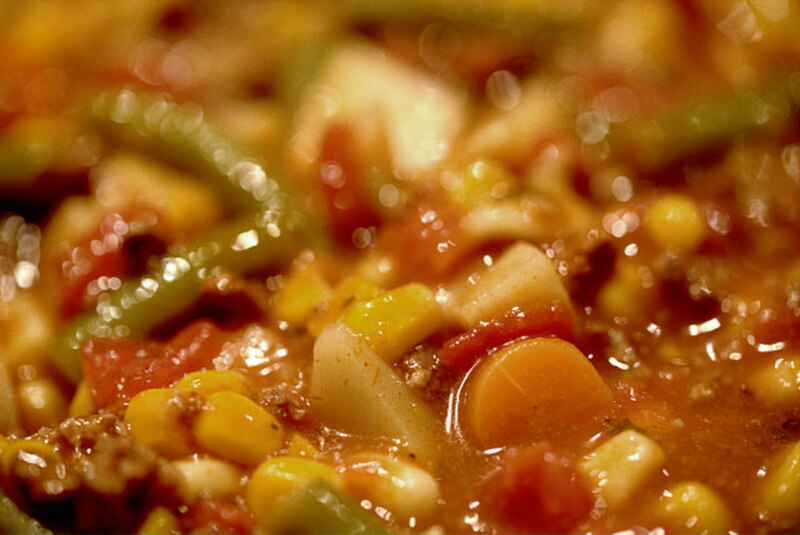 Will You Be Trying This Recipe For Vegetable Soup? Absolutely. I'm looking forward to it. I really haven't decided yet. No thanks. This is not for me. Hi healthylife2. Yes, the crockpot works fine. 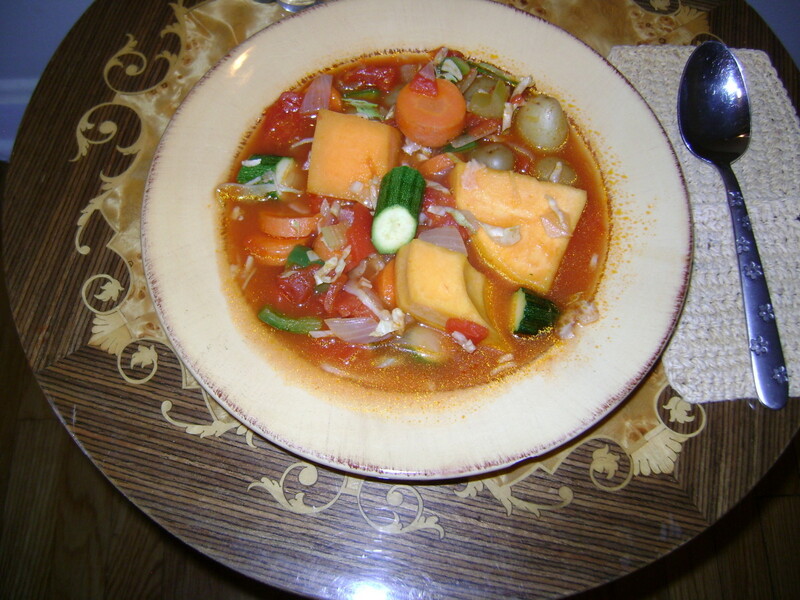 Im writing another delicious recipe for vegetable soup which contains ginger and sweet potatoes. I'm off to visit one of your helpful hubs! I was just looking for a good recipe for vegetable soup and this looks like a great one to try. I love that you listed the beneficial nutrients in the vegetables. Can this also be made in the crock pot? It's like a breath of spring to hear from you, lovely Gail. So glad you've tried this healthy recipe and given your endorsement. I make it all year long. The summer has flown by and it's been a rewarding one. Hello Bobby - As you know Idyllwild is amazingly beautiful. How nice to hear that you are familiar with my area. You must stop by if life brings you this way again. Glad you like my vegetable soup recipe. I can down a bowl of soup anytime, anywhere! Thanks so much for following and for your kind comments. Appreciate the vote up. Peace, love and harmony to you Bobby. Have tried this healthy recipe and it's delicious. Love the fact that it's low in salt and lends itself to substitutions. Thanks for stopping by dear Linda. Feed your wonderful Cap plenty of this healthy soup. sansal -Thanks and yes, you may publish this on your website with a link to this hub. Your soup looks good and wish to publish in my website sandwichandsalad.com only if you agree. I have voted +++ for your recipe. Hi poetryman6969 - Just omit the celery. I often find that I'm out of celery when I make my soup. It's still super healthy and really delicious. Thanks. I am not a celery guy but the rest of the ingredients sound delicious. Thanks so much for being here. I'm glad you've found my recipe and do hope you'll give it a try. It's a great way to get your vegetables and it's filling too. I love vegetable soup! Even as an adult, it is the only way I will eat some vegetables like squash. I see you note about the spicy tomatoes too. My husband loves spicy food! Sounds like a delicious recipe for both of us. To make sure it's spicy, I add 2 cans of spicy diced tomatoes. The canned tomatoes come with the spice in them. They're so good! I never add salt to my soups or anything else that I cook. All processed food contains way to much sodium. Look for 'low-sodium' on the labels. When I bake potatoes, instead of using salt, I use lemon juice (it's wonderful) and sometimes I grind lemon-pepper on the potato. You will never miss the salt. 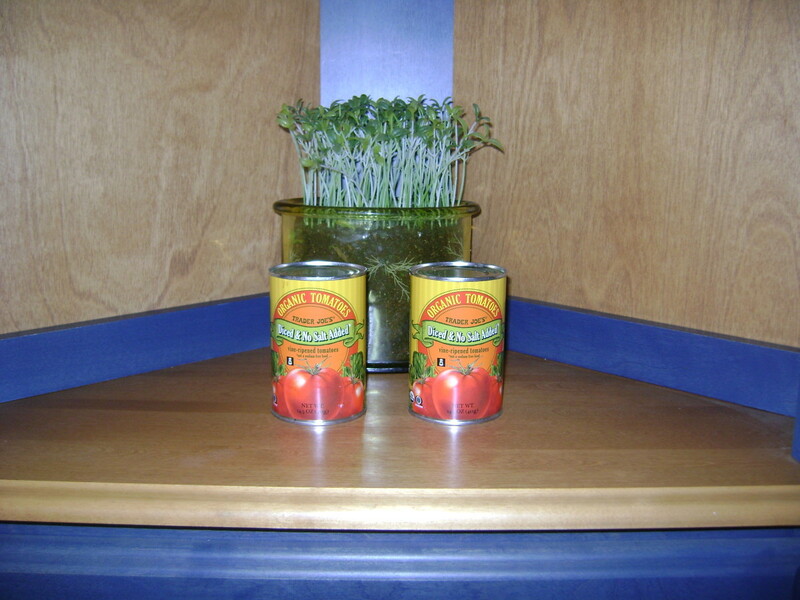 I also always rinse canned vegetables such as green beans, pinto beans and even canned tuna unless it's low sodium. Rinsing not only helps to wash away any added salt, it also washes away harmful chemicals. Good luck, my friend and let me know how you're doing. Hi Audrey. I'm looking for recipes for low salt soups and other things. I've recently been put on a low salt diet (2,000 mg) a day. When I started reading labels for sodium, I was amazed at how much there is in various foods. I guess I have to learn more about cooking, as well. I love your idea of grilling vegetables, olive oil and a bit of water in aluminum foil. Will do this for sure. Thank you. Love homemade vegetable soup. And sometimes, it tastes even better the next day. The use of squash in your recipe reminds me of something we do when grilling. We put vegetables (often with squash), in aluminum foil, with a little olive oil, and a tiny bit of water, and put them on the grill. Phyllis Doyle - Yeaaaah! This is terrific. Thank you so much. I did make the soup, Audrey, and it is wonderful. I have a few bags of it frozen. Thanks again for this recipe. KimberlyLake - Hi there. I'm so glad you like my healthy homemade vegetable soup. Love your idea of splitting the pot to add meat for those who are not vegetarians. Please let me know how it works for you. Your votes and pinning put a great big smile on my face! Hi Phyllis - Regular vegetable oil is just fine. By now, you've probably made the soup and I'm hoping you really enjoyed it. I always make extra to stick in the freezer. I just fill up a large freezer zip lock baggy. Then when I'm ready, set it on a plate, poke a couple of holes in the upper part of the bag and defrost. Fast, convenient and healthy meal. Thanks so much Phyllis. Appreciate your awesome votes. Audrey Howitt - I love it too. And it will last for a couple of days in the refrigerator. Thanks! DzyMsLizzy - Thanks so much Liz. Really appreciate the great votes. Enjoy the soup! I really love this soup recipe. It is simple, healthy and sounds delicious. I am going to try it this weekend. In my family some of us are vegetarian and and some eat meat. This makes dinner time interesting. With this recipe I will make the soup and then split the pot and add meatballs or sausage for the meat eaters in my house. I can't wait to try it. Thanks. Voted up, Awesome, and pinned. Wonderful looking soup, Audrey. I had bookmarked this hub of yours earlier and noted the ingredients, then went shopping. I got all the ingredients, but forgot the olive oil. I am rarely out of olive oil, so it did not register with me to get more. Voted up Awesome Useful Interesting and 'Lookin' Tasty'. 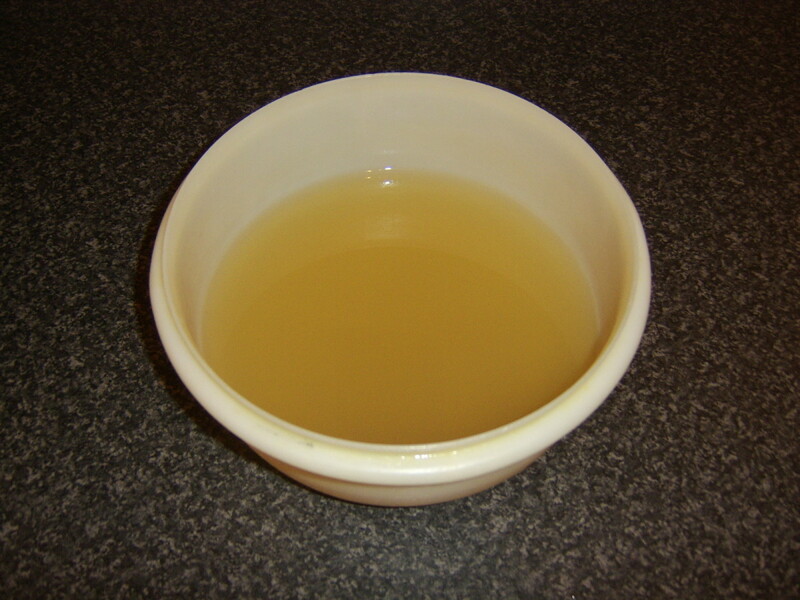 I will make the soup tomorrow, using regular vegetable oil -- I hope that will be okay. Thanks for writing this hub. Sounds absolutely scrumptious! Bookmarking this for sure! Would love to also share it, but the 'share' button is not working...so, I've settled for giving it 5 stars and voting up, useful and awesome. Oh yum Audrey! Love vegetable soup! Oh Eddy - You have an open and standing invitation. Just remember to bring along some of your beautiful poetry and photos. Oh yes definitely yummy and can I come for dinner too . Hi Audrey - Wanna come for dinner the next time I whip up a batch of this soup? PegCole17 - You've made my day dear Peg. And I so appreciate the pinning. Now, you've made me so hungry that I'm heading into the kitchen to make some soup. Right after I pin this beautiful pic of your serving of soup into my Food Ideas board. Thank you for the appetite stimulus! Looks yummy Audrey :) Makes me feel hungry but I just ate. I love rice and noodles and this will be on my "must try list." Also something caught my eyes.... those seedlings in a jar :) I love looking at plants roots when they are in jars, one could really see how they are growing under the soil. Rated, up and shared!
" Always on the look for..."??!! I have no idea what word my IPad typed for me above...LOL! Thanks for the hugs...cannot wait to join you for lunch soon! Lovely Marcojour - You sound like the perfecr friend to have over for a hot bowl of savory soup and a hot slice of french bread. I don't make my soup with salt. Thanks lovely lady and be good to yourself. Here's a few hugs to get you going! Always on the lookdesorption yummy soup recipes...this sounds delicious, versatile and healthy. Thanks my friend for visiting my hub. So glad you approve of this healthy homemade soup. It really is one of my favorites to prepare. Take care and healthy eating! I love zucchini in soup. Glad to hear you will try it. I think you'll be pleasantly surprised. Thanks so much for your comments. Hi there. Thank you for the great compliments and the appreciation you show for my recipe hub and photos. I hope to see you again very soon. Oh Peggy - Thank you so much for the 5* rating! Freezing homemade soups is a smart thing to do. Not only saves time but is convenient for those days a body craves a nice bowl of soup but too tired to make it. Appreciate the vote up/ ratings and the sharing too. Enjoy your day Peggy. Hm. I don't think I've ever put zucchini in a soup before. In fact, I think it's never even occurred to me! I'll have to give it a try sometime. Your homemade soup recipe just got another 5 stars. I love to make soups like this as well as many others and typically have a number of them frozen in smaller containers so that we can enjoy soup often. My soups vary from one time to the next depending upon which vegetables and other ingredients I have on hand. Up and useful votes and will also share. I agree with you about most of the fruit losing it's flavor. What a shame. I'm pleased that you will be using this recipe. I know you will enjoy it. Thank you for the vote and for sharing! I'm always watching my salt intake even though sometimes others don't appreciate that when cooking. I figure that's what salt shakers are for :) So glad you're going to be making this recipe. I've a feeling you and yours will enjoy it. I appreciate so much your being here, commenting and all the good votes. I most of all love the hugs and right back at'cha! Suzie - So great to hear that you approve of my healthy soup recipe. One of the things I like most is being able to add whatever you like and it works beautifully. I really appreciate your votes and sharing including pinning. This looks delicious ! Sadly fruit seems to be losing flavour so we are more into vegies than ever before ! Will vote up for sure. Thanks for sharing . This recipe looks delicious and just as importantly, very nutritious. Love the way you included how to use substitutions and the additional info about how to make it tasty without adding salt. Will definitely be trying this recipe soon. 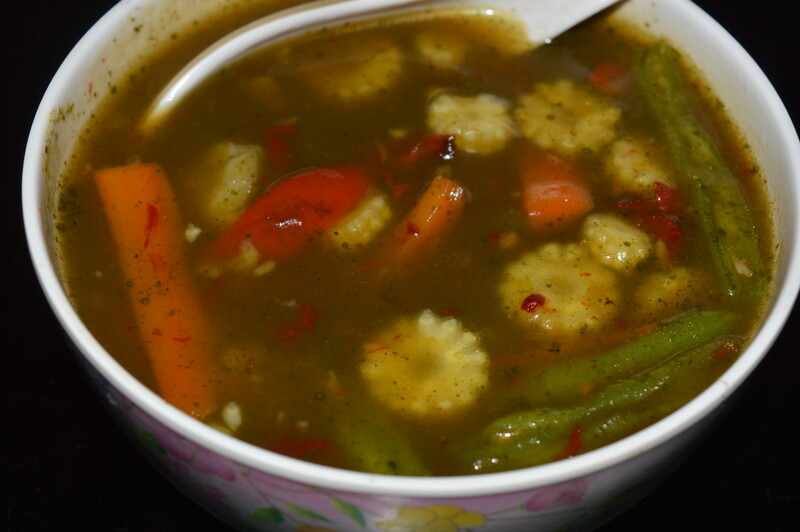 Love this easy healthy soup - Plenty of "eatin and drinkin" as my grandmother used to say! Love this idea and great inclusion of all the benefits each ingredient has. Definitely trying this one! Thanks so much for putting this together, voted up, useful, interesting, shared and pinned! Careermommy - Thank you so much for the generous comments. I now feel so good. I hope your family really likes this recipe. You are so kind to vote up, rate 5 stars and pinning. Take care. vocalcoach, you gave such a detailed description to this healthy soup. Nutritional content always goes far with me. This is something I'd definitely share with my family. This is voted up, with 5 stars and pinned! Dear Audrey - Thanks and stay well! Hugs. dipsmi - I'm glad you will try my recipe. I think you will love it, especially the health benefits. So great to see you here. Will visit you soon. girishpuri - Hello and thank you for leaving me a comment. I hope your day is simply beautiful in every way! Looks really yummy! Will definitely try it. Dear moonlake - Potatoes from the potato fields - how wonderful! Thank you my friend for sharing your thoughts and the votes! This sounds so good. Maybe my husband can bring home some baby potatoes from the potato fields. Voted up and shared. jtrader - I'm new at taking photos so your comment means a lot to me. Thank you! KoffeeKlatchGals - This is one of my favorite recipes. I love all the veggies plus the health advantages of these power house goodies. Thanks so much for being here! truthfornow - Thanks for being here. I'm glad the photo of my soup recipe brought you here! Hi Jackie - Your mother's rolls sound so yummy. Think I'll add that to this soup. Great combination. I'm a soup-a holic:) Thanks so much. LadyFiddler - Now this is what I call "true support" for a fellow hubber. Even 'tho you don't like veggies, you still find a positive element in my photos, etc. A huge thanks to you! vibesites - Thanks so much. Glad you liked my recipe and want to stay healthy. Enjoy! You recipe looks so delicious and it's so healthy. It will definitely become a must try in our home. Up, useful, and sharing. Your picture looks really inviting. The soup looks rich and tasty. The picture of the soup attracted me to reading. Seems like a very hearty meal. And very healthy. 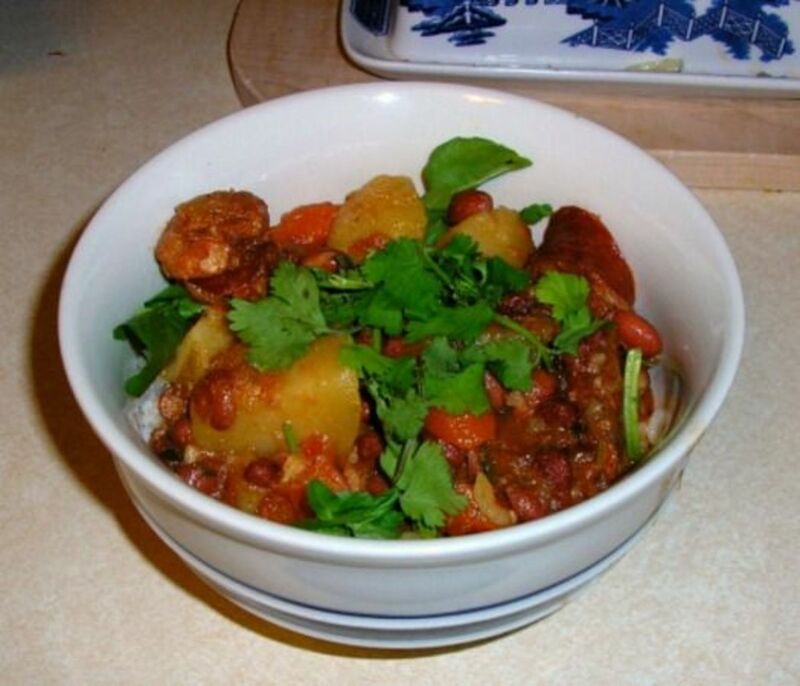 I am not a lover or member of vege lol but great hub and recipe, love your pics. Have a bless night. This looks sooo good, I love soup and especially with buttered rolls! I could really pig out if I let myself. Mom use to always make loaf bread as a kid when she made soup and rolls is as close as I can get to that. Good thing the veggies are good for me. Voting up and sharing! Hi leslie - We are soup sisters:) I, too am a soup fanatic. So glad to find someone like you and hope you really enjoy my recipe. Thanks a million! I am a Soup fanatic and you just gave me a new one to try. Sounds easy and scrumptious. Voted up and useful, my friend. Elena - I make this soup regularly. It keeps in the refrigerator for up to 3 days. I always make enough to store in the freezer. That way, when I'm too tired to cook I simply pop the frozen batch into the microwave and it's all ready. Thanks for the 5 star. Take good care and stay well! This is a very healthy Recipe. I went through it very slowly and would like to add it to my Recipe's. I'm definitely going to try it this month. I hope it's okay to have it over 2 days. (keep it in fridge and finish next day) Awesome - 5 star. Rogene - I live on soup too during the cold winter season. Just love the taste and warmth! Thank you! That looks so good -- all chock full of veggie goodness. We live on soup during the winter. vocalcoach: YUM YUM!!! :) Sounds like a great healthy dinner. Thank you for this recipe. Hey Mike! Thanks so much. I just made a big pot of this healthy vegetable soup this morning. The neighborhood is begging for their share so will give "handouts" in time for dinner :) Appreciate the vote and useful rating. 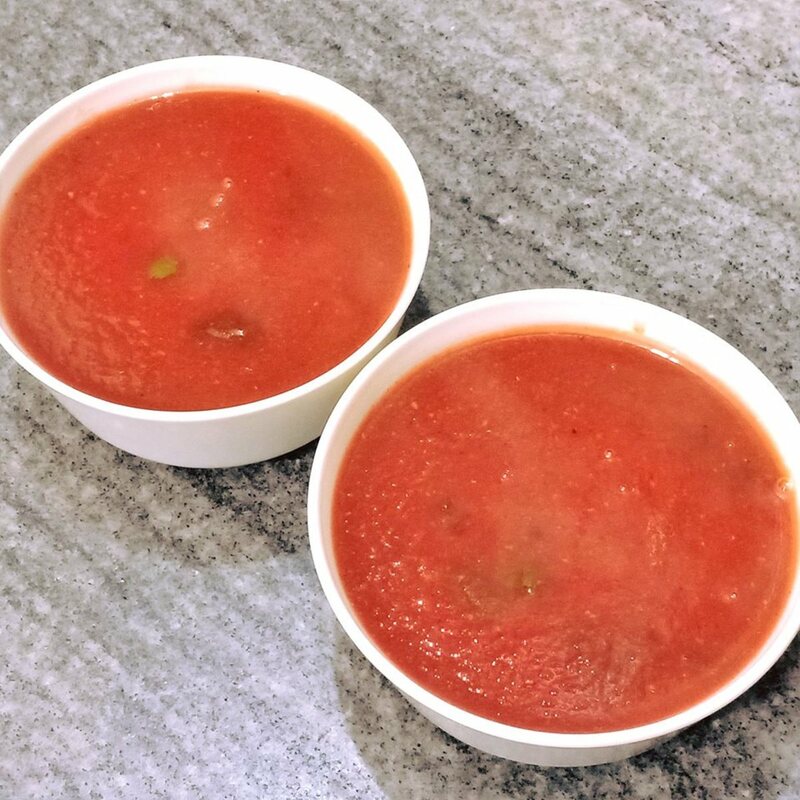 ellesvoice - Thanks so much for liking the looks of my healthy vegetable soup. Great to see you here. CrisSp - 4 day flight? Whoa! That's too much time in the air:) Wanna give you an extra thanks for pinning this. Thanks! Kathryn Stratford - Thanks so much for being here. I appreciate your kind words. Jasnay - I love soup - especially homemade. (I like to know exactly what's in it:) Thanks so very much for your sweet comments. Made my day! Pagesvoice - Thanks so much for being here and sharing your delightful comments on the topic of homemade soup. I like your mentioning salt. Many a good recipe has been ruined by over-salting. Take care and thanks again. I think this is perfect for "exhaustipated" me. Yah, go figure what I meant after a 4 day flight straight in a row. I love veggies and I'll definitely try this as soon as I gather all my ingredients. Love colourful food! This soup looks fantastic! All the colors and healthy vegetables... it's making my mouth water! Great recipe! Voted up, useful, awesome and interesting. I absolutely adore the way you present information to your readers. I'm still scratching my head wondering how you came up with the nutritional figures. Even though I am in my 6th decade, I learned to cook from my dad who got home an hour before my mom. I watched him and learned to love cooking. Today, I prepare every meal in our house...unless, it is a Polish dish and then my half Slovak wife takes over. Like you, I love to make soup. I also agree that making enough to freeze for the future is the way to go. I often joke that as long as we have power, then we could eat for at least 3 months. 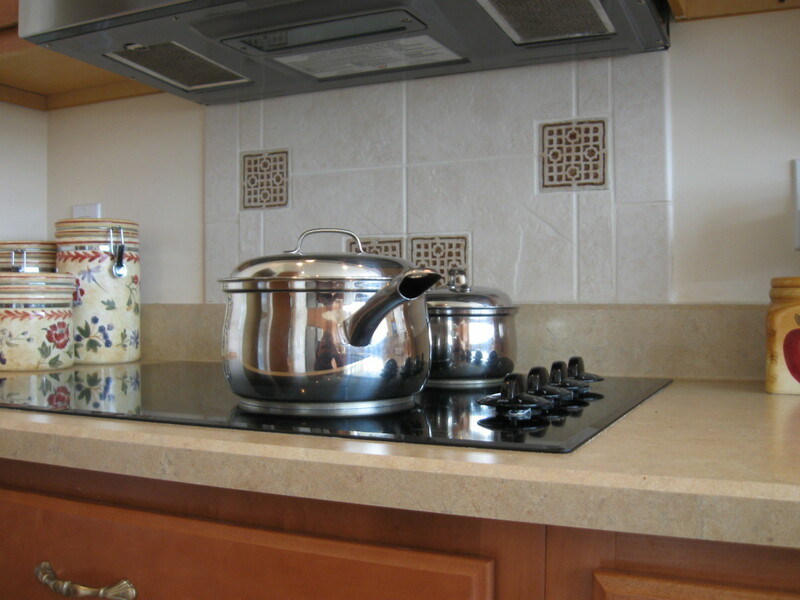 One more thing we are in agreement on regarding cooking, especially when it comes to homemade soups. I only lightly salt the ingredients and I tell everyone that they can simply season the end product to their own taste. Nice hub to bring on the veggies. We all know they are healthy, but setting out a tasty way to enjoy them is what makes them interesting as well. Vocalcoach, you are doing a great job here by sharing your knowledge! This recipe looks hearty and delicious! Thanks for sharing it with us. SilentReed - (Love the name). I'm so happy that you tried the soup and liked it. 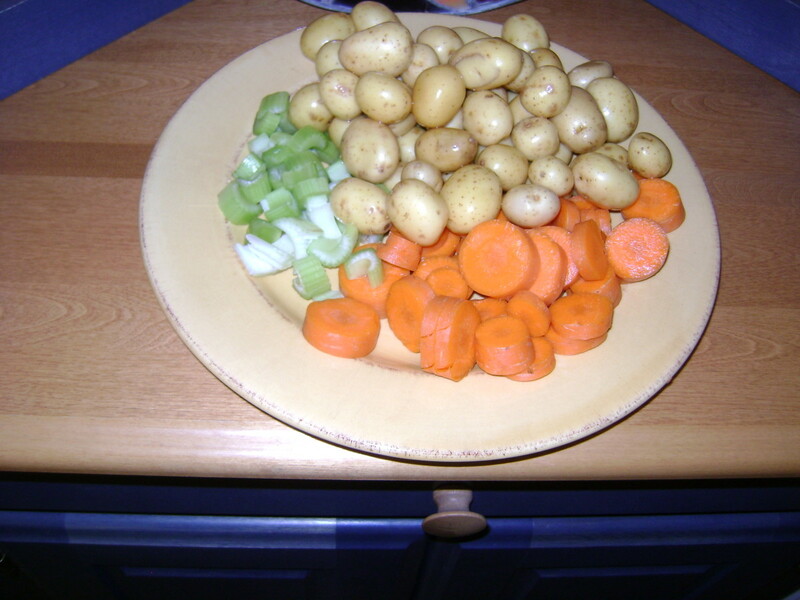 Good idea to cut the veggies into smaller portions for the grand kids. Thanks so much! I decided to give it a try (I enjoy cooking) before commenting. Food magazines have nice glossy presentations, but as they say it's in the eating that matters. Smiles :) and appreciation for this hub. It's healthy and quick to prepare. 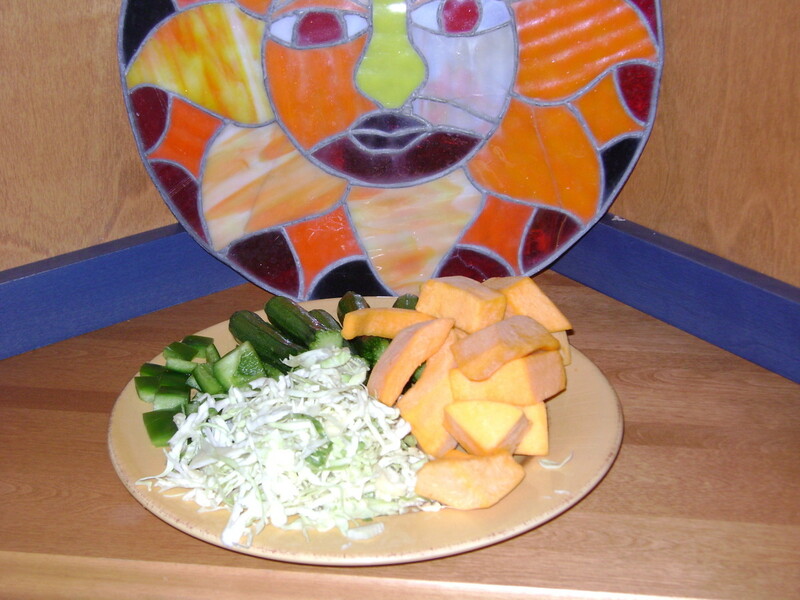 I made smaller cuts of the vegetables to encourage my grand kids to eat their veggies. NCBler - Love your comment:) Let me know how you like it. Thanks! Movie - I do hope you enjoy my recipe. Remember that you can omit or add whatever you like. It's extremely healthy and quite satisfying. Thanks for the vote MM. This veggie soup recipe is a bit different for me, so looking forward to giving it a try, we are well into our home made soup at the moment. vacation trip - Soup always seems to "hit the spot." Especially when it is homemade. Thanks for reading my hub on Healthy Homemade Soup. prasetio - Hello. I'm sure your mom will like this soup. It is full of antioxidants and easy to make. I hope you enjoy and thank you for your support. Rtalloni - Another point I didn't mention was that I find that I actually save some money in the long range when I buy organic vegetables for this recipe. I like your idea of freezing portions to use later. Thanks so much! Sueswan - Glad you approve of my recipe. It really hit's the spot on these bitter-cold days. Think of me as you enjoy your own bowl of soup:) Thanks for the Up and sharing. alexadry - I'm thrilled to pieces that you love the photos because I'm a beginner with my new camera:) This hub found you at a really good time and I wish you well and safe with the cold front coming. Thank you for the votes! Linda, we've got to stop meeting like this :) But I must say you're a girl after my own heart - soup is sumptuous - any kind of soup and your Pinto Bean I'd love to have the recipe for. (hint, hint) Sending you a healthy hug! I like to make a homemade soup at least twice a month and no two are ever the same. I like to switch up beans, veggies or meats. I never, ever used bell peppers in my soup! That's my next soup addition. I just made a huge pot of Pinto Bean soup tonight, so the peppers will be the next time around. Soup = potful of health!